Low, Low, Low, at Kokanee. It’s been a long time since I’ve seen the avalanche hazard reported as low across the board. 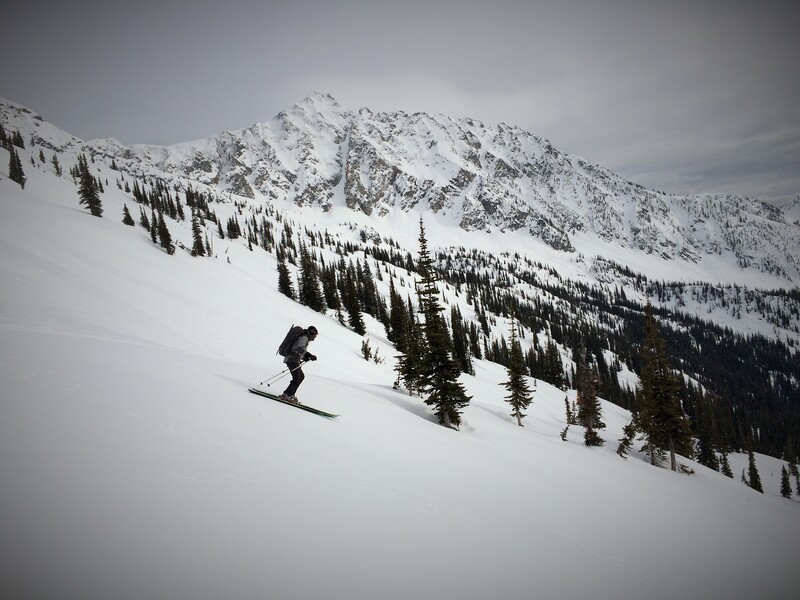 An indication of how firm things are out there, but also on invitation to ski a big line. Hard packed conditions render the radiator useless on my sled, causing overheating, and slowing our progress into Gibson lake. 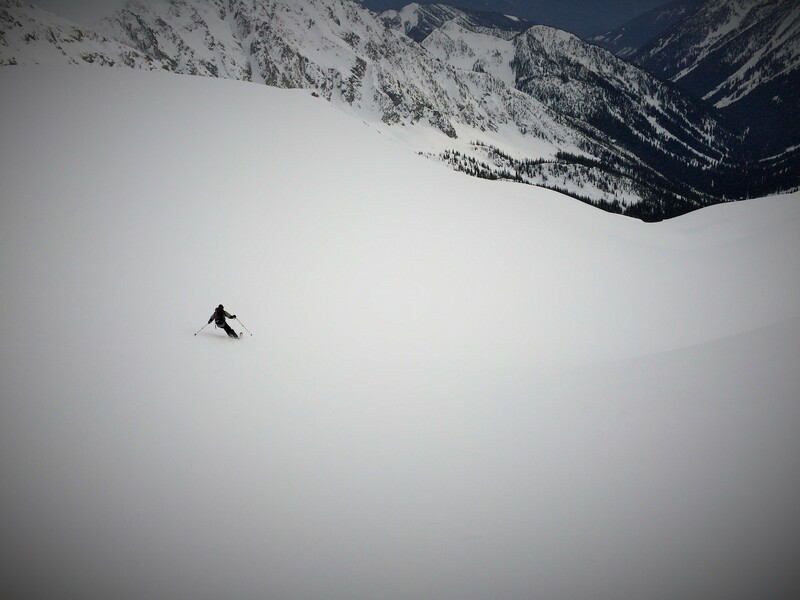 But once on skis, and with the use of ski-crampons, we were able move quickly and directly. 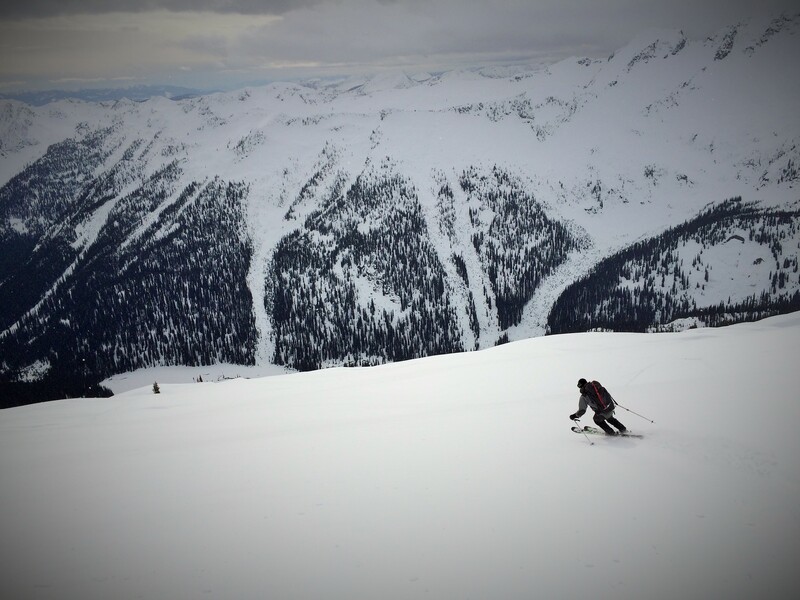 After a few hours we topped out in a 2750m col between Cond and Kokanee Peaks, with visibility blowing in and out. The snow surface conditions were surprisingly winter-like above 2400m, even on the south aspect. Not actually powder, but great for smooth soft carving. 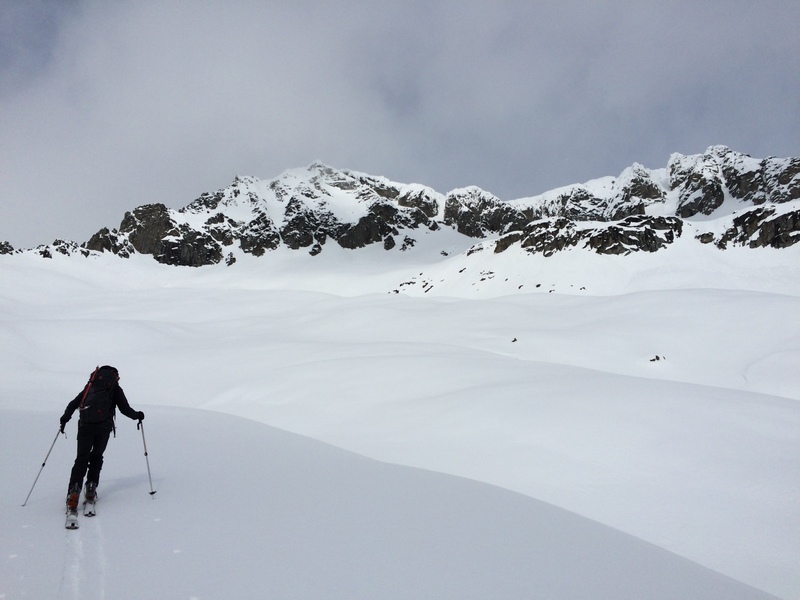 As we continued down, and conditions firmed, the skiing remained fun on the smooth open terrain, becoming a little more challenging on the summer trail down to the lake at 1560m. Sure beats another day scratching around on boiler-plate groomers at the resort.